A grade 2 listed barn, lovingly restored to a very high standard while retaining a lot of its original character. Sleeps 7 with 3 bathrooms (2 ensuite). A sympathetically converted 19th century grade 2 listed barn. Sleeps 6 with 3 bathrooms (3 ensuite). A grade 2 listed barn, sympathetically renovated to a high standard. Awarded 4 star rating with a gold award from Visit England. Sleeps 6 with 2 bathrooms (1 ensuite). Award winning accommodation, 4* rated, Grade 2 listed, with character of the original old building and comfort of a modern conversion. ​​Sleeps 4 with 2 bathrooms (2 ensuite). Award winning accommodation, 4* rated, Grade 2 listed, with character of the original old building and comfort of a modern conversion. ​Sleeps 4 with 2 bathrooms (1 ensuite). A grade 2 listed barn, sympathetically renovated to a high standard and awarded a 4 star rating with a gold award from visit England. ​Sleeps 4 with 2 bathrooms (1 ensuite). Take a look at this stunning video of Lackford Lakes Barns from the air, showing our beautiful rural location right by Lackford Lakes. 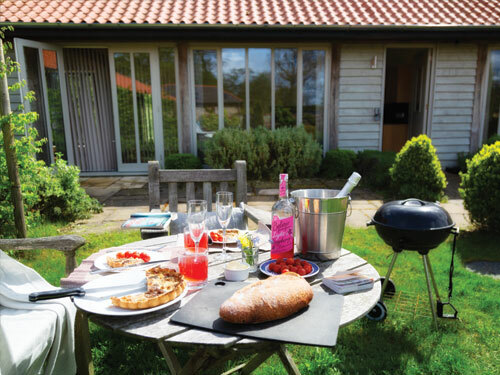 Lackford Lakes Barns superb holiday cottages are set in a stunning Suffolk countryside location where you can enjoy an outdoor lifestyle. 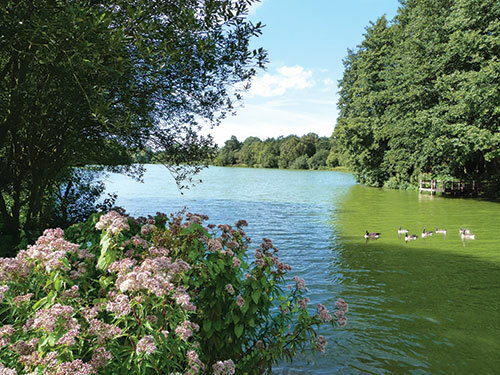 Beautiful Lackford Lakes and West Stow Lakes, a haven for bird watchers, walkers and nature lovers, are right on your doorstep. ​Lackford Lakes Barns holiday cottages are situated only 5 miles from Bury St Edmunds, the jewel in the crown of Suffolk in East Anglia. What do our guests say about their stay at Lackford Lakes Barns? The Cart Lodge is very comfortable and cosy with plenty of space to accommodate 7 of us. The nearby nature reserve is 5 mins away and great to have on the doorstep. The kids enjoyed running around in the garden and the play room. We would definitely come back. Thank you very much to Emma! My family loved the Cart Lodge and we plan on staying here the next time we are in Bury St Edmunds! We had beautiful surroundings, lots of space, easy parking and very comfortable beds! If you want to get away from it all in top class self catering accommodation, this is the place for you! It would be nice to say Holm Oak Barn was a home from home, but I think it was better than home!! I can't wait to return! Holm Oak Barn was so lovely to stay in. The setting, next to the nature reserve is wonderful. The courtyard around which the barns sit is charming - the buildings are beautifully conserved and there is so much space you don't feel at all on top of any of the other accommodation. Lark Lodge is a fantastic place for families. Secluded but close enough to travel for days out. We had 2 kids under 3 and they were both very happy running around the gardens and the house was well equipped for them. Would definitely recommend to anyone looking for a nice family getaway. Space, peace and quiet next to a wildlife trust reserve, very comfortable, smart, clean, a well appointed kitchen, and lots of nice small touches - milk in the fridge, cake on the table, fresh flowers. Lark Lodge is thoroughly recommended for a family or group of friends. Barn Owl Barn has spoilt us for any other place! A very large space, beautifully furnished, with gleaming en-suites and a well-equipped kitchen area. The living area is massive, with a big dining table and two comfy settees. The underfloor heating was wonderful in the chilly October evenings,. Lackford Barns is a very peaceful complex, backing on to a nature reserve. Stunning location, beautiful interior - spacious with lots of natural light, and a very relaxing setting for an escape for a few days. I would highly recommend Barn Owl Barn! What a brilliant time we have had at Well Cottage! The converted barns are beautiful, comfortable and we have loved every minute. The games room and laundry room are great additional touches. We also had a private garden area at the back of the cottage. We had a lovely break at Well Cottage. Beds were comfortable and spotlessly clean, and the cottage was very warm. 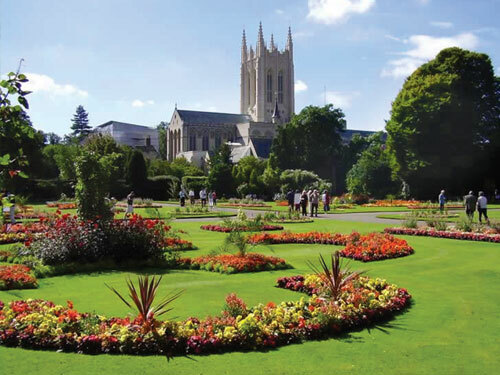 The location was fantastic, so peaceful and easy for walks around the lakes, but close enough to Bury St Edmunds. The games room on site was a great addition, particularly in bad weather. Curlew Cottage is a converted barn with beams and lots of character, but modern with everything you will need. The property is well-maintained inside and out with secure parking behind an electronic gate. If you want peace and quiet, with a chance to relax this is the place. Curlew Cottage is a lovely place to stay. Furniture high quality, very warm, great games room for kids (big and small), lovely and quiet, next to a nature reserve which was great (woke up to sound of woodpecker in distance! ), very responsive owners. Would definitely recommend.